PCOS refers to Polycystic Ovary Syndrome, it is one of the most common female endocrine disorders. PCOS is a complex, heterogeneous disorder of uncertain etology but this disease is more commonly present in the families with diabetes. PCOS produce symptoms in around 5%-10% of women of reproductive age. This condition may also affect a woman's menstrual cycle and her ability to have children. The condition may also affect a woman's blood vessels, heart, physical attributes, and hormones. The woman who is experiencing PCOS, androgen levels are particularly high in them. PCOS also affects a woman's menstrual cycle, her chances of having children without the fertility treatment, her hormones and her appearance. The PCOS Treatment Andheri in West, Mumbai completely depends upon the symptoms and need of the woman suffering from it. 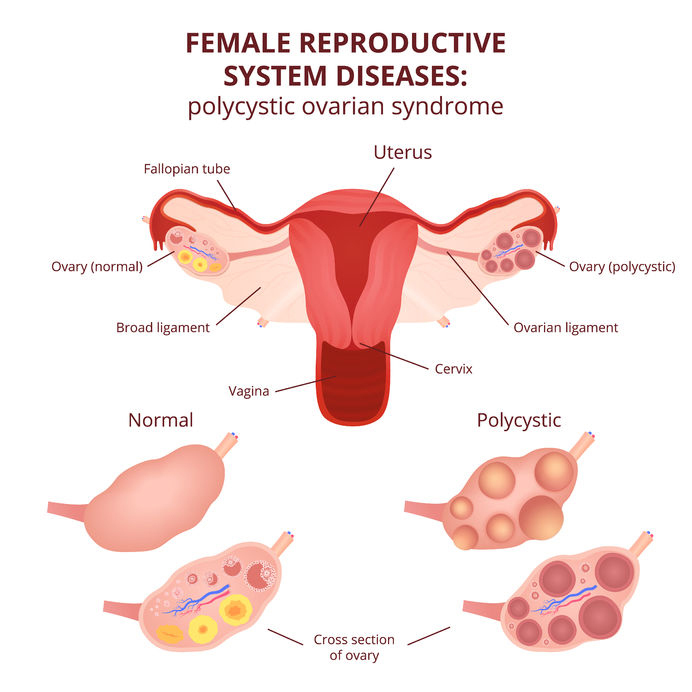 Patients with PCOS who desire to childbearing and unable to conceive naturally may require ovulation drugs and assisted reproductive techniques which help them to conceive. Here, we understand that patients with PCOS require a boost to their confidence along with the PCOS Treatment Andheri in West, Mumbai, as they may have serious emotional issues with their hair growth, obesity, and acne. At Pushpaa hospital, we provide good counseling and motivation besides the medical approach to meet the patient's goals. It is very important to take the PCOS Treatment Andheri in West, Mumbai for follow up to make sure that treatment is working and to adjust it if needed. The importance of maintaining ideal weight should be emphasized in all women with PCOS regardless of their weight. Here, we begin the treatment after diagnosing the patient precisely and discussing everything with them thoroughly.